Built in 1852 at Brooklyn, N.Y. Transferred to the North Atlantic Blockading Squadron, arriving on station , 9 October 1861, off Hatteras Inlet, N.C.
45k CDR John Taylor Wood CSN. Led attack on USS Underwriter, 2 February 1864 while the ship lay at anchor off New Bern, N.C.
"It [USS Underwriter] was captured by the Confederates that day [2 February 1864] and burned to prevent recapture by Union forces. The grandson of President Zachary Taylor and nephew of President Jefferson Davis, Commander John Taylor Wood led the Confederate navy against the Underwriter in 1864. The Confederate Navy conducted numerous joint land and sea raids during the Civil War. One important expedition in North Carolina was against the USS Underwriter in early February 1864. 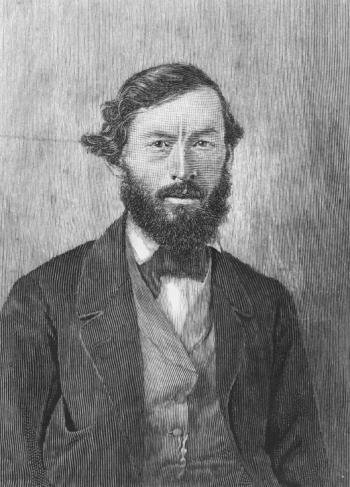 The brainchild of a naval officer, John Taylor Wood, the expedition was part of a larger Confederate offensive against the Union stronghold at New Bern, North Carolina. General Robert E. Lee detailed General Robert F. Hoke’s brigade, under the command of General George Pickett, to attack and attempt to retake the city. The army’s assault is largely forgotten because it failed. The navy’s spectacular attack, however, was more successful and proved that Union control in eastern North Carolina, even relatively late during the war, could still be challenged seriously. In conjunction with the ground assault, Wood gathered a force of thirty-three officers and 220 enlisted men, including Confederate marines at Kinston. The naval expedition carried out its mission in twelve boats and two large launches, each armed with a 12-pounder howitzer. Men from the James River Squadron (including a number of hand-picked midshipmen from the Confederate Naval Academy), Wilmington Station, Charleston Station, and Savannah Squadron were detailed for the expedition. The attack was spectacular. Wood’s force attacked in two columns, his own striking forward of the Underwriter’s wheel and Loyall’s detachment striking aft. Confederate marines with Enfield rifles in each boat acted as sharpshooters, and Lieutenant George Gift’s launches were held in reserve with extra men, prepared for towing the vessel if necessary. The attack began with five bells of the midnight watch (2:30 a.m.). A lookout on the Underwriter’s deck spotted the raiders, and the Federal sailors on board opened fire. Loyall’s boat reached the target first, and his men boarded the steamer, with Wood and his men close behind. Fierce, hand-to-hand fighting made the ship’s deck slippery with rain and blood. Within five minutes the Confederates prevailed.